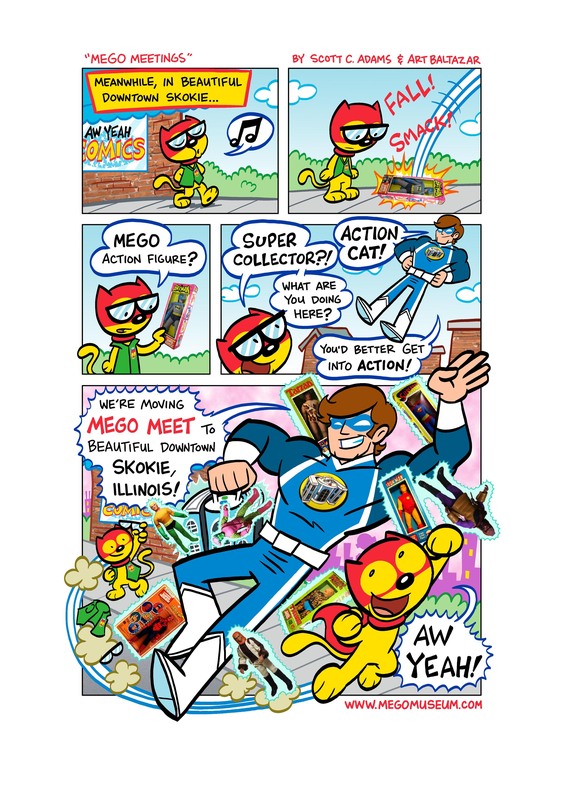 In case you missed it, Mego Meet 2016 has been announced for June 17-18 in Skokie Illinois. This time I’m told there will be one large room for the event giving it a nicer vibe. Pretty exciting stuff! 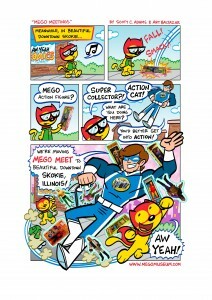 Official Mego Meet Announcement Thread. Perhaps the most exciting byproduct of the new location is that it makes possible a partnership with Aw Yeah Comics, located in beautiful downtown Skokie. Eisner Award-winning artist and co-owner Art Baltazar will be in attendance with the entire Aw Yeah gang. Art is a long-time Mego Meet attendee and is thrilled to host the Meet in it’s new home. 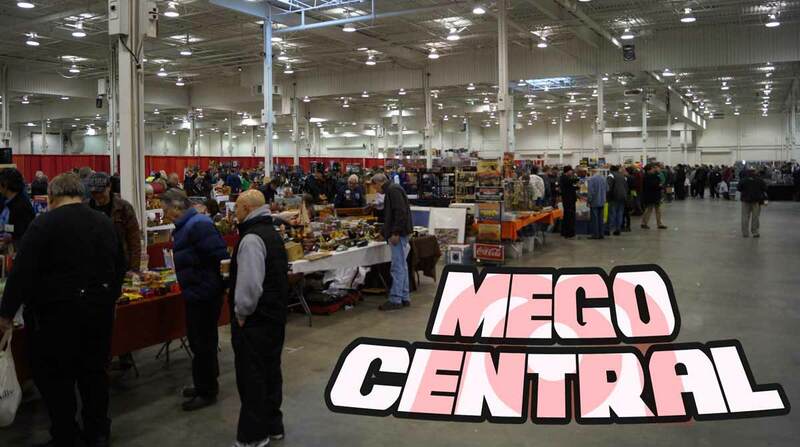 As in years past, Mego Meet 2015 will feature dealer rooms packed full of vintage toys; presentations by collectors, customizers, and toy companies dealing in the classic 8″ “Mego scale;” a customs contest; and an auction to benefit the Mego Museum. The addition of Aw Yeah Comics will add another dimension that will diversify and improve what is already a great annual event. 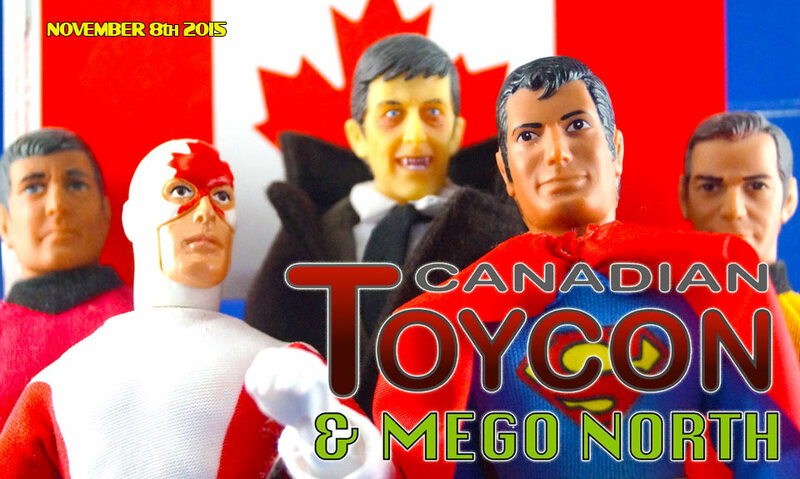 AW YEAH – MEGO MEET 2015! About Aw Yeah Comics – Founded by Franco Aureliani, Art Baltazar, and Marc Hammond, Aw Yeah Comics celebrates and promotes everything that is wonderful about comics, toys, artwork, and the joy they bring to people. Located at 4933 Oakton Street in beautiful Downtown Skokie and just a short train ride from Chicago, AYC offers a family-friendly atmosphere with regularly scheduled events that provide adventures for children and adults alike. About Mego Museum – Founded in 1996 by Scott C. Adams and curated by Brian Heiler, the Mego Museum is an online museum and forum dedicated to all things Mego Corporation. 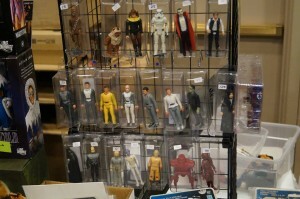 From the classic toys of the seventies, to the modern resurgence of figures being made in the classic Mego style, it all can be found at www.megomuseum.com. This used to be THE toy show when I was younger, in fact it was the first toy show I ever attended in 1986. It’s kind of faded from it’s former glory but I still find some deals there. 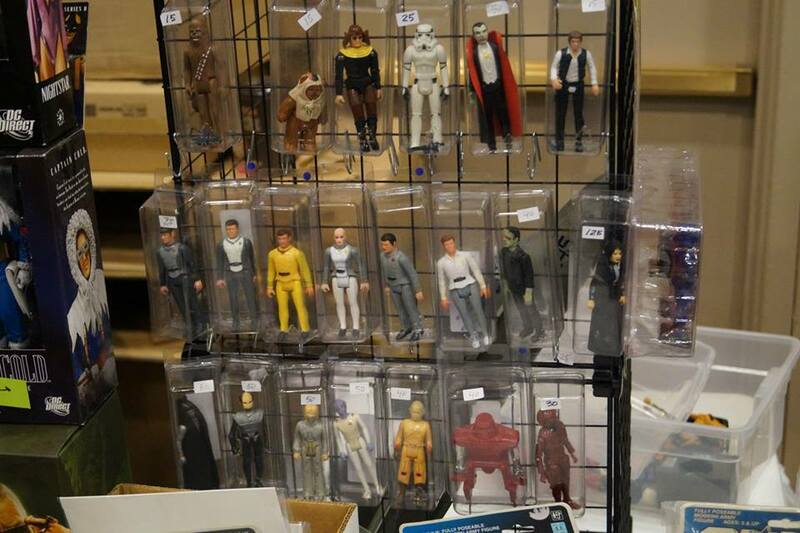 A toy show in Durham Region (about 20 minutes east of Toronto proper) this one holds hope for me, as I know of at least two dealers going who bring some really decent vintage, plus it’s so close to my house I could show up in my bathrobe. This is an amazing bit of “Micronaut love” from 2008 on display at the annual Mego Convention Mego Meet. Where will Mego Meet beheld this year? Like them on Facebook to find out! Fun documentary about Planet of the Apes toys, hosted by Elvira, which is always a bonus.